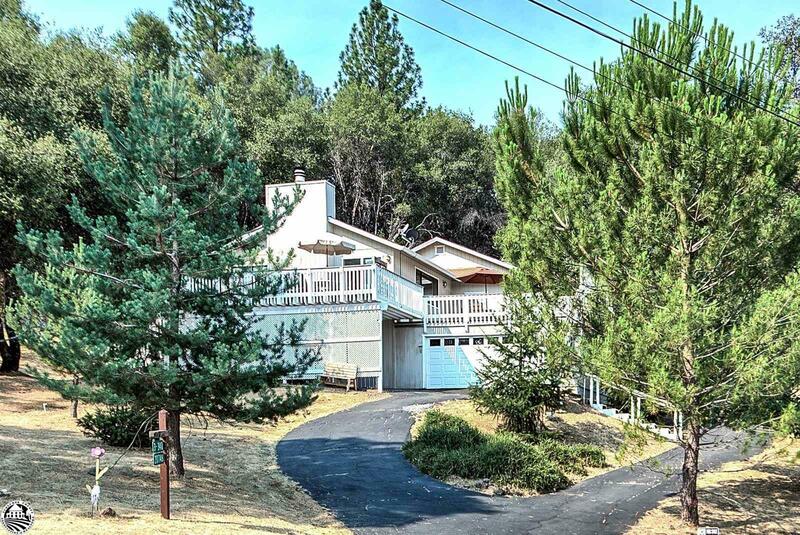 This property is a wonderfully spacious home in the mountains for the whole family on a .64 acre lot in beautiful Pine Mountain Lake near Yosemite. Two-tri-levels of living space make this the perfect family or entertaining home - or how about a vacation rental? The deck area is awesome and high up for privacy relaxing, BBQ and beautiful views. Great room living area on main upper level with stone hearth and free standing cozy wood burning fireplace, master bedroom with balcony deck and guest bedroom and dual access bath on this level. Downstairs is a massive family room with wet bar, bright windows, access to enormous master suite #2 with spacious bathroom and walk-in closet. Laminate flooring, both levels, partial carpet and linoleum flooring and complete with attached 2 car garage. Priced to sell for you own improvements in mind so don&apos;t miss out on this value of 2616 square feet and large private lot!